The view of Camp Cove at Watson's Bay from Constable's Cottage. A GROUP of "million-dollar squatters" living with Harbour and coastal views under cosy rent deals in National Parks buildings are to be evicted. Eager to end a series of arrangements organised over decades, the government wants to create tourism opportunities on the sites - either through setting up cafes or short-stay accommodation. Termination notices were issued last Friday to two families living rent-free in National Parks buildings at Barrenjoey Headland. They have been given 90 days to move out. Among those getting the boot is Shane Kavanagh, the brother-in-law of former state and federal Labor minister Laurie Brereton, who has been living rent-free for more than 10 years on site. Another is Mark Arblaster, a distant relative of former state Liberal MP David Arblaster. 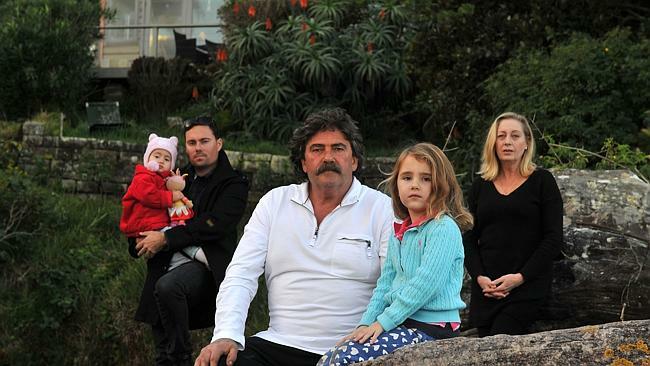 Shane Kavanagh and his family will be evicted from their National Parks property. Others to be evicted immediately include National Parks staff who have enjoyed peppercorn rent at residences at Gap Bluff and South Head. The government says it is the first tranche of a redevelopment program which will evict staff tenants from Nielsen Park, Greycliff House, Middle Head and Goat Island in coming months. There are 93 staff-occupied National Parks residences in the state with rents ranging from nothing at Barrenjoey to $3 a week at Tibooburra and up to $410 at Goat Island. In the case of the Governor's Cottage at Nielsen Park, the rent is $242 per week - when market value is $389. 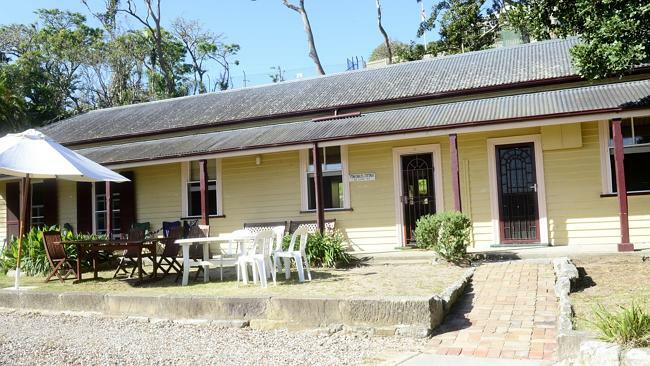 While the government believes it is fair for National Parks rangers to inhabit its cottages in remote locations, it sees no need for such arrangements in Sydney and many of its other sites. 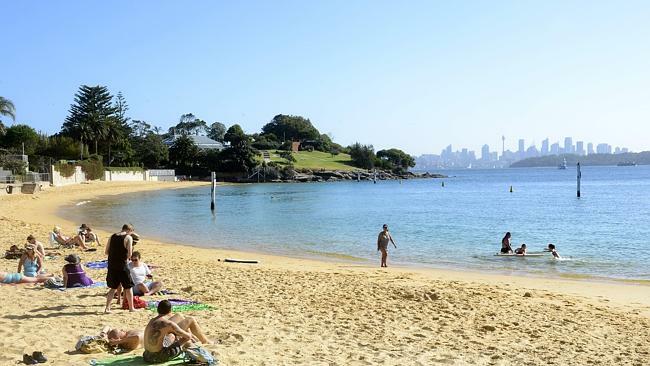 "Ultimately, this is about giving the community greater access to some of the best locations Sydney has to offer," Environment Minister Robyn Parker said. "We want to ensure that agreements made by the previous government that saw families live in waterfront properties in national parks rent free are no longer able to occur. "The public and the government have a clear expectation that we use our national parks and public assets for the benefit of the whole community." One of the National Parks properties people are being evicted from. Mr Kavanagh and Mr Arblaster yesterday claimed the government had "failed to recognise possibly one of the longest historical connections on Sydney's northern beaches" and were ignoring local protests over development of the area. They said their pleas to National Parks since 1995 for rental agreements to be entered into were "ignored". "In the last six years alone, over $500,000 have been spent by the Arblaster and Kavanagh families to rebuild and maintain the dilapidated dwellings, in full knowledge of NPWS," the pair claimed. The government says eviction proceedings were started by National Parks and halted by two former Labor ministers, Pam Allan and Bob Debus, in 1996 and 2003. "Aside from making it harder to enter the homeowner market, higher property purchase taxes may discourage people from moving interstate for a new job," he says. Nazzari says unlike land tax, which people can minimise by buying in different states and with different structures, stamp duty is hard to avoid, and he does not see the costs falling soon. "At the moment it's probably difficult because governments are looking to plug deficits." 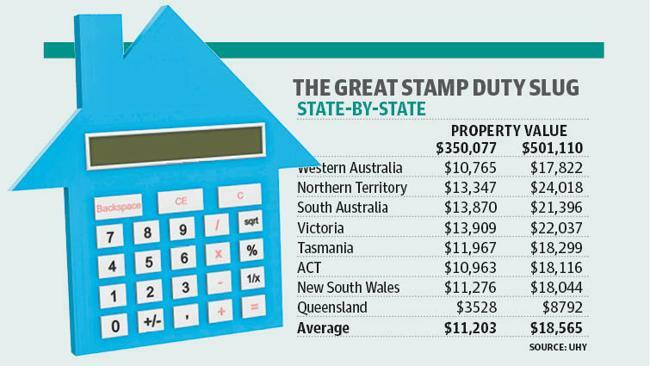 Buyers' few choices include seeking cheaper properties, which attract a lower rate, or targeting Queensland, where stamp duty rates are about one-third the cost of other states. Koulizos says people can lower their stamp duty costs by building. "Buy the land, then build - you only pay stamp duty on the land," he says. "If you're a first-home buyer, there are many concessions and some of them include stamp duty." AN interesting acronym has been popping up among renters and real- estate investors in the past few years. And the NRAS - short for National Rental Affordability Scheme - is shaking off some of the earlier concerns people had about it. The NRAS is a cousin to the more famous NDIS. They are both government initiatives with claims to win-win status. In a nutshell, the NRAS delivers about $10,000 a year in tax-free incentives for 10 years to investors who are willing to knock 20 per cent off a home's market-value rent. It started in 2008, and more than 11,500 homes nationally have been tenanted, or are available for rent, under the scheme. Another 28,000 financial incentives have been reserved by property developers to be passed on to investors. Of course, there's always the fine print. Investors can't approach the Government directly for NRAS incentives and must go through property developers, who can add extra costs, while tenants generally need a household income below about $100,000 to qualify. The scheme works best for homes around $400,000 or less. Previous criticisms included most NRAS properties being offered in outer suburbs - although things have changed more recently with governments wanting them closer to CBDs. In Adelaide, that translates to properties in areas such as Lightsview, Northgate, Woodville, Seacombe, Sturt, Warradale and the CBD. Banks used to be wary of the NRAS but now all major lenders are onboard, finance experts say. They say quality tenants are lining up for the properties because of the hefty savings. HLB Mann Judd partner James Hooper says investors are allowed one rental increase each year no larger than the annual house rent inflation. "Property owners can sell the property with the NRAS incentives attached at any time during the NRAS period,'' he says. "While the incentive is an added attraction for property investors, prudent property investment principles still apply. NRAS is not for everyone, but it's well worth crunching the numbers if you are thinking about investing in property. Ahead of Budget week, when we're about to be bombarded by such acronyms as GDP, CPI, CGT and LMFAO, what's another one between friends? Anthony Keane is the editor of Your Money. NEW homes could be approved within 10 days under radical changes to planning laws that are tipped to spark a construction boom in Sydney. In a bid to address the state's housing shortage and affordability crisis, councils will be forced to give the green light to 80 per cent of all suitable NSW buildings in just 25 days, according to a state government white paper to be released today. As long as new homes and renovations are under two storeys and do not affect neighbours with overshadowing or privacy issues, authorities will have to give their rulings within 10 days or risk losing decision-making powers on major projects. Suitable apartments in town centres, developments of up to 20 townhouses, new shops and land subdivisions will also get the go-ahead in less than a month. Councils currently take an average of 71 days to decide on new development, from garages to subdivisions, and more than eight months on developments worth more than $5 million, such as apartment blocks. "If you put in a DA for a new house that meets all the requirements, you shouldn't have to wait for up to two or three months to get an approval like you do now," Planning Minister Brad Hazzard said. "We expect our changes to the DA system will generate savings for the community and industry of up to $1.7 billion over the next 10 years." Councils will also be forced to spend millions of dollars of infrastructure levies they have been hoarding - with the 43 Sydney councils accumulating $760 million paid by developers, earning $40 million in interest last year. Under the changes, authorities will only be able to charge infrastructure fees for essential roads, drainage and parks, instead of saving for decades for pet projects. The state government has rejected calls to bring in a flat tax of $160 on every ratepayer in the state to fund $1.2 billion of infrastructure a year for new urban growth. Instead, it will make dramatic changes to council taxes on new properties, forcing new apartments in the affluent east to pay infrastructure levies to stop western homebuyers copping up to $40,000 on the cost of their houses, while $2 million properties in the east pay just $5000. At the moment, a $450,000 new house in Camden will cost homebuyers more than $40,000 in combined local and state infrastructure contributions, while the owners of a new three-bedroom, $2 million apartment in Double Bay would pay just over $5000 in local contributions. "Whether you are in Camden or Collaroy, if your new development creates demand for infrastructure, you should make a modest contribution to the cost of new or upgraded infrastructure to support growth," Mr Hazzard said. The white paper will allow NSW councils the chance to keep their powers to determine the fate of DAs worth up to $20 million. However, they will be encouraged to appoint independent hearing and assessment panels in an effort to depoliticise local government decision making and "remove any potential corruption risks". STRUGGLING families are missing out on up to $3000 worth of savings, unaware they are eligible for rental assistance. The National Rental Assistance Scheme, which provides access to rental properties at discounts of at least 20 per cent, is available to single adults earning up to $44,835 and families with three children and a combined income of up to $106,598. Horizon Housing executive Jason Cubit says the income thresholds could fit the profile of full-time workers and double-income families. "Two adults earning $50,000 each with three children could secure an NRAS property,'' he says. Horizon Housing, an affordable and social housing provider, will release almost 100 new NRAS properties between Nerang and Pimpama over the next three months. NEW laws in Australia and overseas may potentially boost local housing markets, with Chinese investors given more incentive to look down under for their next property purchase. This month, the Chinese government announced a proposal to step up the enforcement of capital gains tax on home sale profits and also to increase deposit sizes for those buying second properties. “Turning the screws on property speculation appears to be aimed at limiting a potential asset bubble in China,” said Angus Raine, CEO of Raine & Horne. Chinese investors have shown interest in the Sydney and Melbourne property markets for some time and this was highlighted by the rush of purchases made during the relaxation of foreign investment laws in the aftermath of the GFC. Now, with the recent introduction in Australia of the ‘Significant Investor Visa’, which allows migrant visas to be fast tracked if they pour more than $5 million into approved local investments, another ‘perfect storm’ scenario has been created. A number of Sydney markets are already reporting increased inquiries. “We have received significant interest from Chinese buyers,” said Barry Goldman of Raine and Horne Double Bay. Meanwhile, agents in areas traditionally popular with Chinese buyers, such as the prestigious north shore, expect the flood gates to open even further. “Around 30 per cent of our Chinese buyers are overseas investors, so we expect that any restrictions on real estate in China will flow through to our markets,” said Hugh Macfarlan of Raine and Horne Chatswood.